I don’t know about you and your writing, but I tend to be a disorganized writer that wants to be an organized and disciplined writer. I’ve tried just about every filing system known to modern humans. I’ve experimented with notebooks, file folders, date books, stacks of paper, piles of paper, and even garbage cans filled with paper sorted by topic. The best invention in the world for me was the sticky note. Yet, once I discovered Scrivener, most of those went the way of the real purpose of the garbage cans. So far in this ongoing series on Scrivener, the powerful writing software tool, we’ve learned about the basic features of Scrivener including the organizational benefits of Scrivener, how to start a blank Scrivener project, how to use the Scrivener Research section in the Binder, and using the split screen feature. This tutorial starts to dive into the organizational capabilities of Scrivener. As you’ve learned in these tutorials, you can organize Scrivener files into two core sections in the Binder of your blank project: Draft and Research. Inside of the Draft area of the Binder you have folders and text. Folders may have subfolders and text files may have sub text files as well. Let’s start there. In the Binder, click on Draft. Click the drop down arrow of the green plus symbol to add a new folder titled Chapter 3. Click on Chapter 3 folder and add a new text document the same way, naming it Testing 3A. Click on the Testing 3A file and right click, choose Duplicate to create a copy and title it Testing 3B. Repeat the process for Testing 3C. You should now have 3 folders and the newest one should have 3 text files within it. Notice to the right of the title of the folder a number. This number indicates the number of files within the folder. In my example, there are 11 files in Research, and 9 in Draft. Let’s practice moving things around. In this ongoing series on Scrivener, the powerful writing software tool, so far I’ve given you a basic overview introduction, including a collection of two Scrivener bootcamp videos to help you get started and see the possibilities in the writing program, and talked about the organizational benefits of Scrivener. Continuing with this Scrivener tutorial series, we are going to work on the blank Scrivener project you created in the previous tutorial, and in this tutorial, I want to share with you tips for using the Research section of the Binder and introduce you to the Inspector. In the next in this series, I’ll show you how to use your research with the Split Screen Feature of Scrivener. As a reminder, Scrivener by Literature and Latte is available as a free trial version and is a deal at the current sale price of USD $40 for Windows and Mac. Compared to Microsoft Office, this is seriously inexpensive and a very powerful writing and editing tool. Along the left side of Scrivener’s interface is the Binder, your index listing all of the documents, files, notes, writings, etc., within your Scrivener project. Remember, in Scrivener, don’t think of what is in it as a single document like you would with MS Word. Think of it as the binder or file cabinet for your entire writing project(s). Inside of it you will have the draft of the manuscript, your research notes, files, photographs, maps, whatever you need to help you write. Lorelle VanFossen is presenting an informal free workshop on Scrivener Basics in her home north of North Plains, Oregon, at 6:30PM on Thursday July 23. 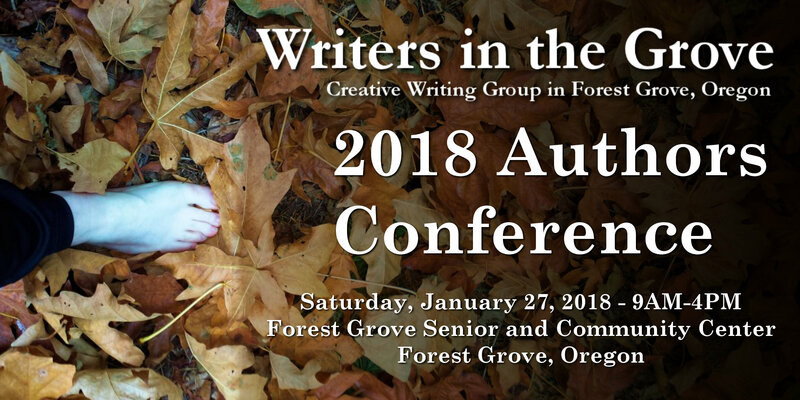 For directions, use the comments below, the contact form, or get them at the next Writer’s in the Grove weekly workshops. Carpooling from Forest Grove Senior and Community Center maybe available. She has already released an ongoing Scrivener series of tutorials, videos, and guides to help you learn more about how Scrivener works. These are the workshop notes as well. We will go slow as we can but it will help if you watch a few of the videos and read the referenced articles in What is Scrivener, Scrivener: Bootcamp, and Scrivener: Organize Your Writing and Thinking. The latter article will help you get your head around the difference between working with a word processor and Scrivener. You will be required to bring your laptop with Scrivener installed. If you do not have it, go to Literature and Latte to get Scrivener as a free trial or paid downloadable (or order CD) version. The laptop does not have to be wifi enabled but it helps. You will also need a mouse (trackpad is painful but works), power cords for the laptop, and extra batteries for the mouse. If you would like to bring food, drinks, and snacks to share, that would be appreciated. We will snack and work as there is much to cover. To speed up the process, please bring a COPY file of a writing project you are working on (one or more files), pictures, scanned images or documents, and other digital research material you are using for your writing project. This is a one time event. A follow-up event may be possible, or a class series at the Senior Center this fall if the demand is high enough. Your Guide to Scrivener, the Ultimate Tool for Writers by Nicole Nionisio is available right now with a direct download for Scrivener users for free. Right click on the link and choose to save the file or target as to save this to your computer. You may also copy it to Kindle or an ebook reader if you wish. This is a step-by-step manual for Scrivener users guiding you through the process. It covers both Mac and Windows versions, though focuses mostly on Mac. There are some differences between the two versions, but less with every new release. If you would like to buy the book, it is available as an ebook from Amazon.com.